Autopsy as a field is enjoying an unexpected renaissance as new and improved uses are found for postmortem examination in quality improvement, education, and research. 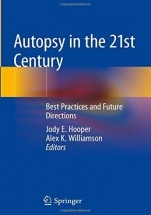 Increased interest in the autopsy is evident in the popular press as well as in national and international physician meetings.This text will provide an overview of topics the authors consider crucial to competent and effective autopsy practice in the 21st century. Each chapter will combine relevant theoretical background with current and practical experience-based guidance so that pathologists and clinicians can better utilize the autopsy to provide optimal value to families, patients, hospitals, and health systems. Distinguished contributors will provide a review of the rich history of autopsy practice, including assessments of how the past both informs autopsy practice and impedes its progress. The autopsy will be placed in the context of larger healthcare systems with chapters on the use of autopsy in quality improvement and evaluating the value of autopsy as a professional activity, as well as new technology that affects practice models. Better and more reproducible methods for reporting autopsy findings will be explored to exploit the full potential of autopsy data for cross-institutional research. Two chapters will also provide the first book-level review of the growing field of autopsies performed on an urgent basis to sample both diseased and normal control tissue for research. These "rapid research autopsies" are especially crucial to cancer research and the growth of personalized medicine, and the book will explain the science behind utilization of autopsy tissue and offer a full template for designing and delivering a successful rapid autopsy program. Additionally, pathologist and clinician contributors will highlight current recommendations for special techniques and ancillary testing in postmortem examinations to serve the needs of today's patient populations. As resident education is re-examined by pathology and education authorities, new competency-based training models will almost certainly come to the fore. A chapter will examine approaches to the future training of medical students, residents, and fellows in an environment of changing autopsy exposure. A final chapter will summarize the vision for the autopsy as a clinical outcome measure, and valuable scientific resource. This book will be a new type of volume in the field of autopsy pathology. 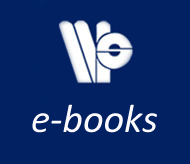 It differs from the presently available review references and atlases in that it provides guidance for readers to embrace transformations that are already taking place in the field. There currently is no resource that offers comprehensive guidance for modern autopsy practice and looks forward to what the field might become in the future. A Short History of Human Dissection and the Autopsy.- Utilizing the Autopsy for Quality Improvement.- The Future of Autopsy Reporting - Data Repository and Research Support.- Evolving Autopsy Practice Models.- Essential Techniques in Certain Decedent Populations.- The Autopsy in Medical Education and Training.- Forensic Autopsies.- The Science of Rapid Research Autopsy.- Performance of Rapid Research Autopsy.- Autopsy in the 21st Century: Looking Forward.